This is a (Purple) vanilla cake I had made for a co-worker of mine! Chocolate frosting, and butter-cream piping, with a butter-cream transfer of a cute little elephant with a birthday hat on! This was the second butter-cream transfer I’ve worked with and I’m slowly getting the hang of it. The vanilla is made from scratch and dyed purple to reflect the love of purple by the birthday girl! 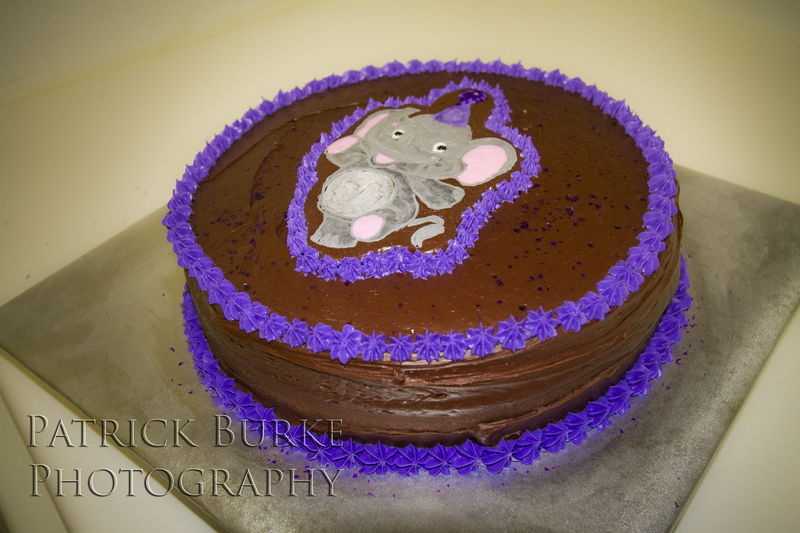 I also used deep purple cake sparkles to add to the top of the cake. Cute, simple, and fun to make!